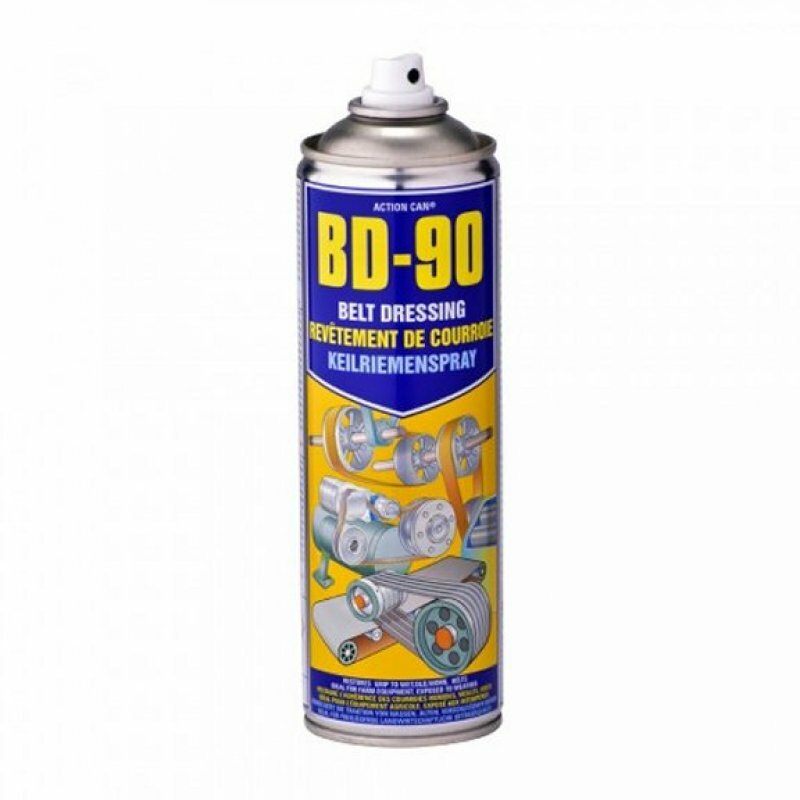 BD-90 drive belt dressing spray can be used on drive belts exposed to all weather conditions. BD-90 drive belt dressing spray is ideal for agriculture machinery, alternator drive belts, fan belts, industrial belt drives, power transmission belts and water pump belts. BD-90 can be used on rubber, leather, canvas and most types of synthetic belt material. BD-90 drive belt dressing spay is formulated to restore friction to all types of driving belt including flat, round, v-belts and conveyors. This high performance product can be used on wet belts and belts in exterior locations. BD-90 stops belts chirping, squeaking and quietens the belt by decreasing slippage. BD-90 drive belt dressing spray helps stops the belt from cracking or fraying. 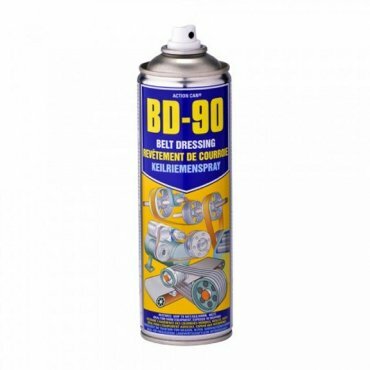 BD-90 Drive Belt dressing spray aids in preventing glazing.